Windows 10 continues the tradition of hardware compatibility by providing support for a vast collection of devices available within the Windows ecosystem. Hardware detection in particular is an important part of the out of the box experience. Driver software which makes this happen, allows your hardware to function by communicating with the operating system. In this article, we take a look at installing and updating drivers in Windows 10. I recently installed Windows 10 on an HP Elitebook to see how well the most recent Windows 10 build performs. The Elitebook is a fairly recent model notebook which includes an assortment of hardware technologies. Out of the box though I did not get a complete system, for instance the Intel HD Graphics 3000 was not detected and I was instead limited to the Microsoft Basic Display Adapter. Apart from this, I had wi-fi ready, which mean, I could connect to the Internet right away. Windows Update is the premier starting point to resolve most common driver issues you might experience immediately after installing Windows 10. Click Check for updates (make sure you have an active Internet connection). Immediately, Windows Update will detect your system configuration and download all the appropriate drivers for your system. As you can see in the above screenshot, my Intel HD 3000 Graphics was installed automatically. I did not even have to reboot the system. In addition to other hardware components were also detected and installed which includes my LAN adapter and card reader. Important Drivers you should get after installing Windows 10. When you perform a new install or upgrade, you should download the latest software drivers from the manufacturers website for your computer model. Important drivers include: Chipset, Video, Audio and Network (Ethernet/Wireless). For laptops, make sure you download the latest Touch Pad drivers. 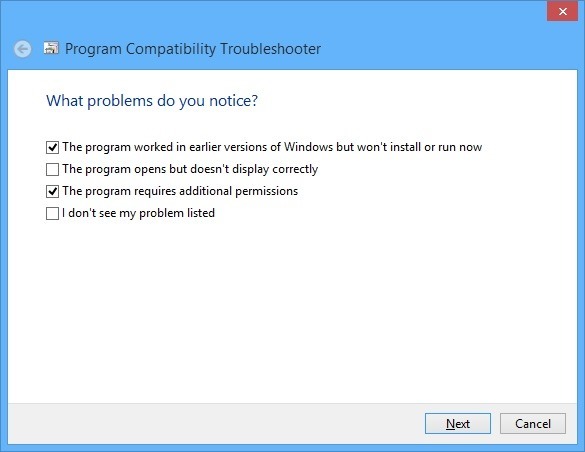 There are other drivers you will probably need, but you can often download these through Windows Update after have a working Internet connection setup. Drivers can normally be found in the Support section from the manufacturers website where you will find a Software and Drivers sub-section. The method to find it will vary depending on the brand. You can go to your favorite search engine then enter the following query "model and make drivers download' example: 'hp 8460p drivers download'. This will often provide a direct link. Normally, you might not find native Windows 10 drivers. If this is the case, use the latest Windows drivers available for your model. So if they only have Windows 7 drivers, try using those. Make sure you download the right drivers for your architecture (32 or 64 bit). Proceed to download the appropriate drivers after selecting your version of Windows. The manufacturer might list two versions of the driver, always choose the latest. Again, the procedures will vary, but as long as you can find the drivers and download section, normally available within Support, you should be able to get to the drivers. If you are reading this before upgrading, try having the essential drivers in advance. 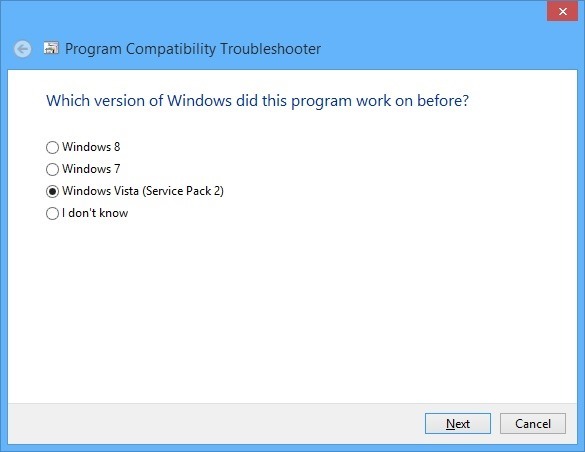 This will launch the update driver software wizard, which presents two options. Search automatically for updated driver software - its possible Windows might have the driver software if you have not checked it yet, if its taking too long, then the next option is usually best. 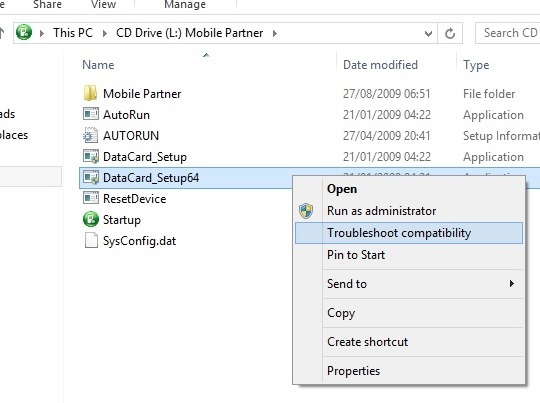 Browse my computer for driver software - if there is a compatible driver and you already have the driver files, then all you need to do is point to it and Windows automatically install it for you. Here I have selected to use an existing driver, browse to where the driver is located on your computer, whether that is a partition, network share, thumbdrvie or install disc. Make sure the option to Include subfolders is checked. 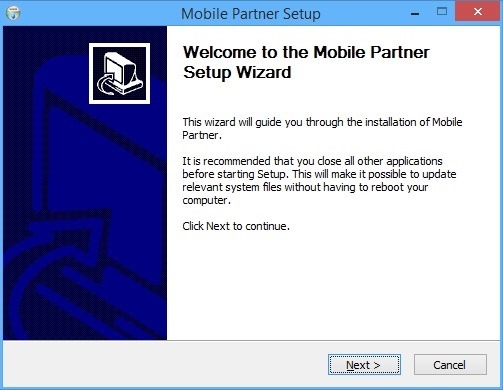 Click Next and wait while the wizard completes the installation. 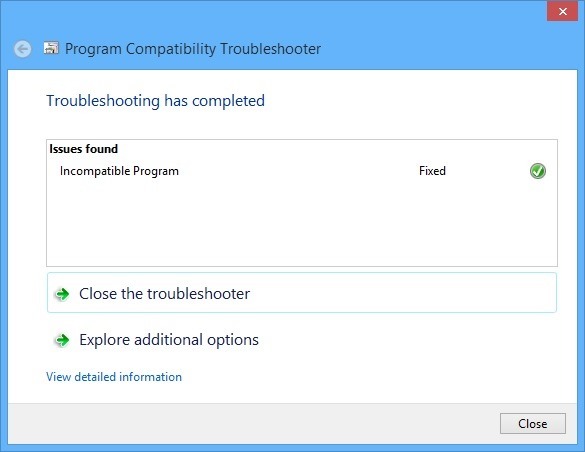 If both Windows Update and driver update prove unsuccessful, the next option is Troubleshoot Compatibility. 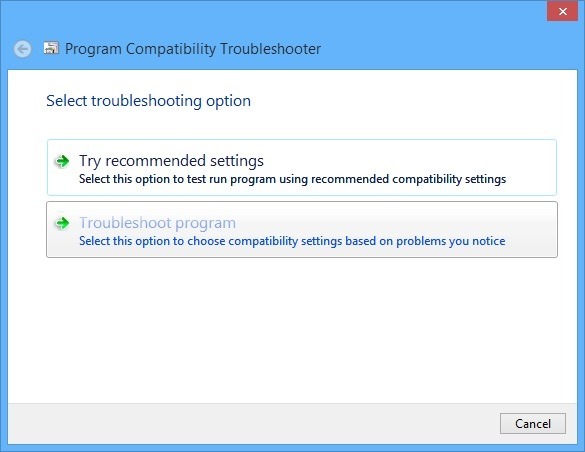 Troubleshoot Compatibility provides a simple way to make older drivers work under modern versions of Windows by making the driver believe it is being installed on a supported version of Windows. The first thing you need to do is point where the setup files are located. If you are installing from a thumb drive or CD/DVD. Launch File Explorer (Windows key + E) and open the location where the setup files are stored. 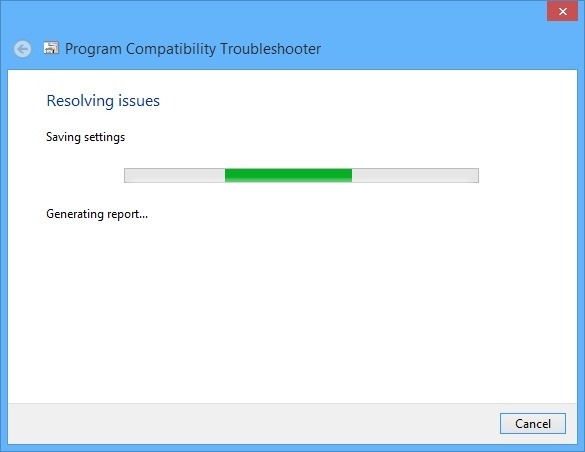 This will launch the Program Compatibility Troubleshooter wizard which will check for issues. The program requires additional permissions. 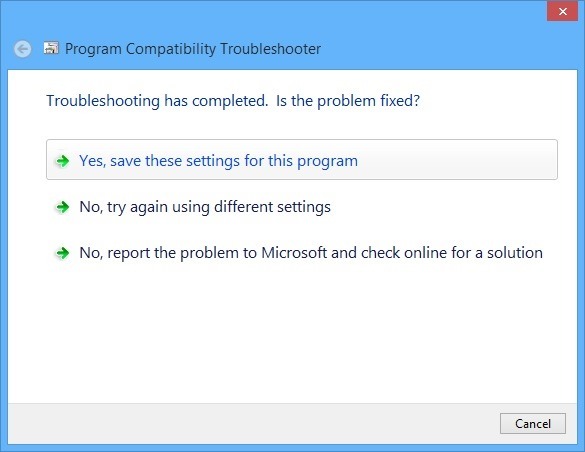 Proceed to run the through the programs setup routine by clicking Test the program…. Follow the on screen instructions to install the program as you normally would. Wait while your settings for the program are saved. Go to the hardware developers website, download the appropriate driver for your model then install in compatibility mode using the instructions above. Thank you so much for this information. I have been laboring over this issue (for weeks) since I jumped into the Windows 10 Preview in a dual boot setup. I am running an ASUS card and I could not get the drivers to load properly to support my 1440 X 900 monitor. After uninstalling the drivers, updating to Build 10122 and following this information I am at the resolution settings I want. Thank you again. Unfortunately, none of this worked. Windows Update does not find any new drivers and wuapp.exe does not even seem to exist in Windows 10 Preview. Trying to load the latest driver according to the Intel Driver Update Utility gives an error message that the hardware does not meet minimum specifications. Given that this is the Dell M6800 and there are no higher hardware specifications, that must mean some other problem. Finally, there appears to have been an Intel Windows 10 Beta driver for the HD4600, but it's not accessible from the Intel website and Windows Update does not load it. JurekNowak, I have the same issue as you. I have a Dell Inspiron 6000 currently running Windows 7 Professional 32bit, and my display adapter is the ATI X300 with 128mb. Its a strong laptop even though it is close to 10 years old, I run a SSD, and upgraded a ton of things like the RAM and Wifi, Windows 7 even rates my system a 3.5. When I tried to install Windows 10 technical preview, it ran great on this laptop, even smoother and quicker than Windows 7 in every way, with exception of the video. HD video would constantly skip and run very poorly because I was limited to the Microsoft generic display driver. 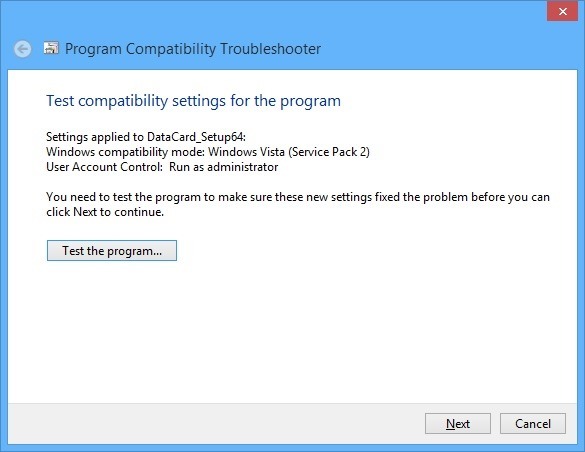 Compatibility tweaks to the driver setup do not work! No matter what actions I took, I could not install my ATI drivers that I was using in Windows 7. Since the system is 10 years old, Dell/AMD most likely is not going to provide any support for an updated driver. I haven't ran the most recent version of Win 10 technical preview (last one I tried was 9926 I think), but I doubt there was a workaround created to allow older drivers to be accepted by this new OS. I'm going to image my current hard drive and allow the Windows 10 update to install once it is ready this month. If a fix isn't in the cards, I will be rolling back my system to Windows 7. Some people might just say buy a new computer, but I really don't need to. This system does everything I need it to do, and with upgrade options to go SSD, why drop $400 on even a basic laptop that doesn't come close to the r/w speeds of my current system. I really hope Microsoft has come up with a workaround. I understand they make the most amount of money of the mainstream, but I am also a strong believer in Microsoft products and really enjoyed using the technical preview version of Windows 10 for a few weeks. Guess all I can do is keep my fingers crossed and hope for the best. can i used this in the drivers of my printer? 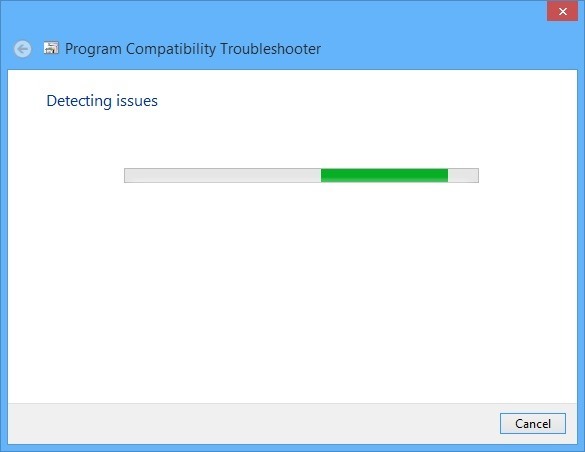 NVidia 32 bit download is not compatible with the Windows adapter even though it has a GeForce chipset. Tried it twice. Thank you for this great article, some may have found it very helpful but unfortunately I didn't. My problem is my Wireless Network Adapter doesn't seem to be showing up under Network Adapter in Device Manager. I've had this problem since Win7 and couldn't figure out a way to install a new one. I've tried downloading through the internet, didn't work. I've tried updating windows but again, didn't work. I can't seem to find a solution to this but if anyone has had this problem and found a solution or if you just might know what the solution may be, please share with me. Thank you! I had the same problem with realtek PCIe Family controller, someone knows if this **spam link removed** could be really helpful? Great, except driver issue is for Network Adapter (Broadcom). Cannot get online with PC. Had up to date driver for Windows 7, so upgrade to Windows 10 should have worked, yet get the "code 10" error. Quick check on Broadcom site shows latest driver is what I have/had.